You'll be staying in the former lighthousekeepers' accommodation, home to a succession of keepers and their families for over a century - until automation of the light in 1998. Extensively rebuilt after WW2 bombing, the building is now in the hands of the National Trust for Scotland, by whom it has more recently been refurbished. 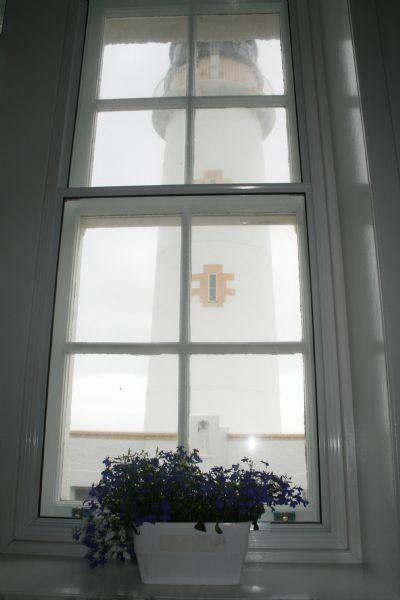 It is double glazed throughout and is heated by a combination of wind power and oil fire central heating. We have a high speed satellite broad band link, with wi-fi internet access from every room, and there is good mobile phone reception (note though that only the O2 and Vodafone networks are available on Fair Isle). The large and comfortable bedrooms each have a double bed, with the option for additional single or bunk beds. Further details can be found on our Home page. 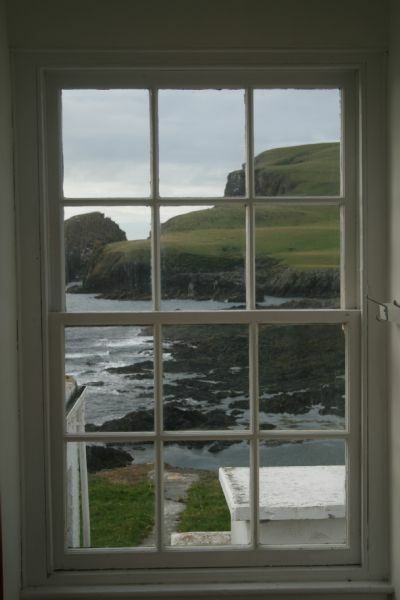 Situated at the extreme south end of Fair Isle it is the most southerly residence in Shetland!